625 South Skinker anchors the architecturally significant HiPointe DeMun Historic District. The building stands on land which once belonged to one of the area’s earliest settlers and was part of the fairgrounds of the 1904 World’s Fair which included Forest Park and many surrounding properties. 625 South Skinker occupies a portion of the fairgrounds on which the 18 acre Palace of Agriculture was erected. 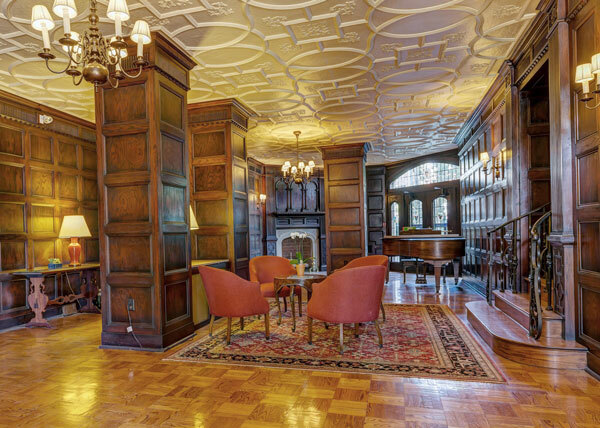 The building rises to 16 floors in Tudor Revival High Rise style and is constructed of steel and concrete with a brick and terra cotta exterior. The appearance, grace and generous proportions of the building exemplify the fashionable apartment buildings of the 1920‘s. With two or three residences per floor, 625 South Skinker gives residents spacious units with grace and charm, adaptable layouts and light from three directions. 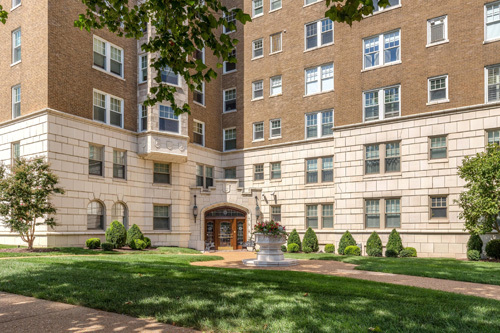 All units have large east windows which overlook Forest Park, and provide views of the city and the Arch. The building offers a full array of building services and a community of intelligent diversity, charm and character. 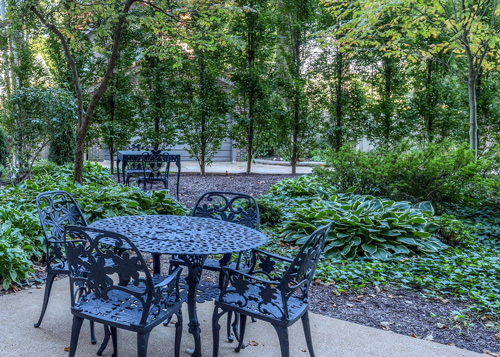 With the proximity of Washington University, Forest Park and shopping districts, the neighborhood provides many convenient educational, entertainment and shopping options.